“You are not only responsible for what you say, but also for what you do not say.” That is what Martin Luther firmly believed and practiced. In 1517, burdened by what he viewed as unbiblical teachings and practices of the church, Luther felt he could remain silent no longer. So on All Hallow’s Eve, 495 years ago today, he nailed 95 Theses to the door of the Castle Church in Wittenberg, thus planting the seeds of the Protestant Reformation and changing the course of Western history. 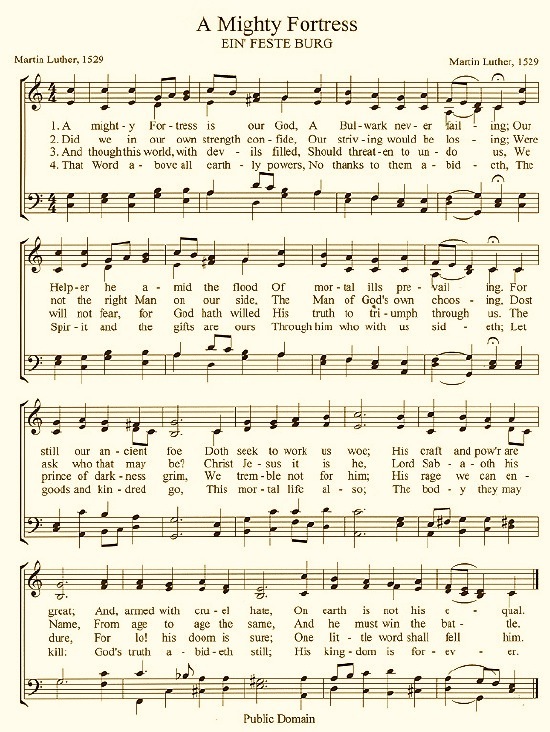 He wrote many, but “A Mighty Fortress Is Our God” is probably the most popular. You can print copies of the sheet music by clicking the image below. 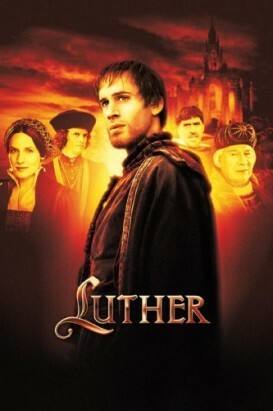 For a listing of Luther’s other hymns, follow this link. 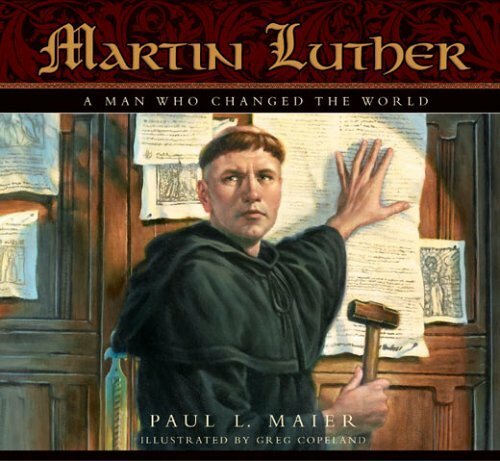 Children of all ages will enjoy Martin Luther: A Man Who Changed The World. This 32-page picture book highlights the important events of Luther’s life. The original document was written in Latin. 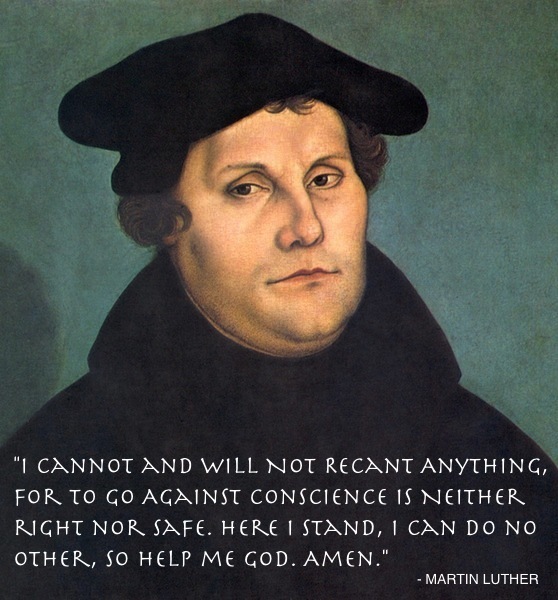 To read an English translation of each of Luther’s points, follow this link. 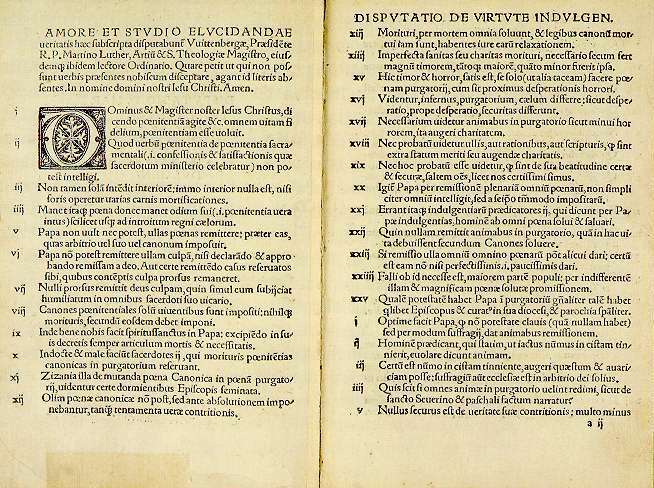 For a printable one-page copy of the 95 Theses in English, click here. Luther taught that Salvation is by Grace Alone (Sola Gratia) through Faith Alone (Sola Fide) in Christ Alone (Solus Christus) according to Scripture Alone (Sola Scriptura) for the Glory of God Alone (Soli Deo Gloria). 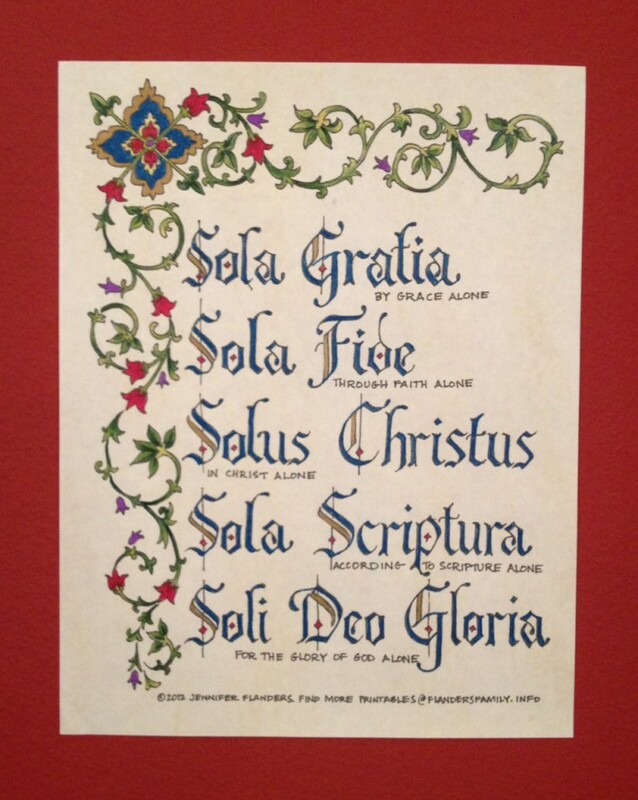 Below is an illumined copy of these principles, which have become known as the Five Solas, or Five Pillars, of the Reformed Faith. To print a black-line copy which you may color in yourself, click here. 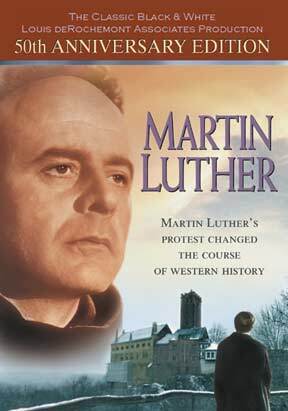 The 2004 film Luther starring Joseph Fiennes is excellent, but we also enjoy watching the 1953 black-and-white classic Martin Luther with Niall MacGinnis. If your family would like more great ideas for delving further into Luther’s life and times, check out this post: More Resources for Reformation Day. In the meantime, have a memorable Reformation Day! Thank you! Your website is refreshing, encouraging, and helpful. We are glad that you promote the Reformation on October 31–an event we celebrate every year. Blessings!